Narowal, University of Engineering and Technology has started the admission process in the different disciplines and the candidates can send their application form to get admission in the desired disciplines. 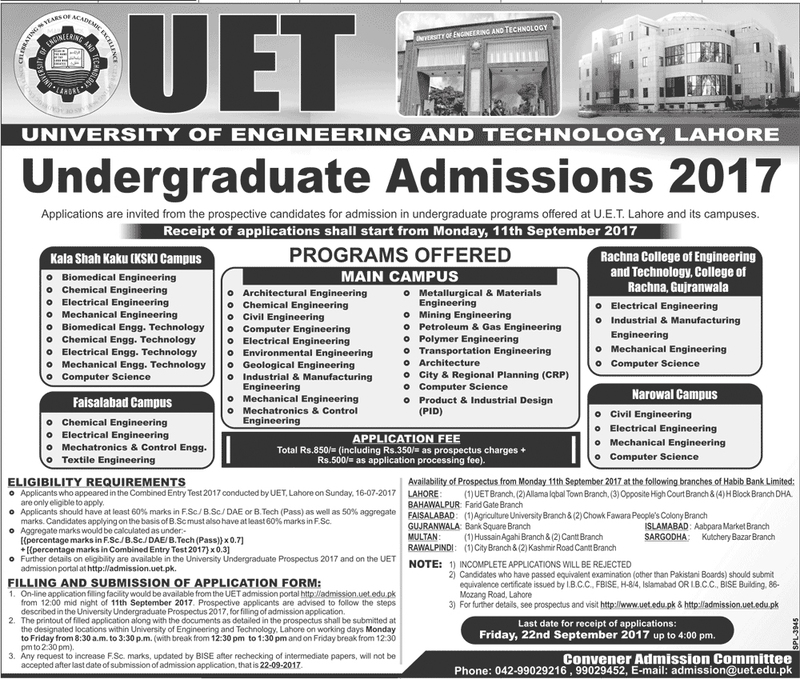 UET Narowal offers admissions in BS in the civil engineering, BS in Computer Science, BS in Mechanical engineering and BS in Electrical engineering. The candidates read about the eligibility criteria to forward their application and they can download their admission forms from the website of the UET Narowal. They complete it and get the print of the admission forms and send it along with the required documents till the last date of 22 September 2017.